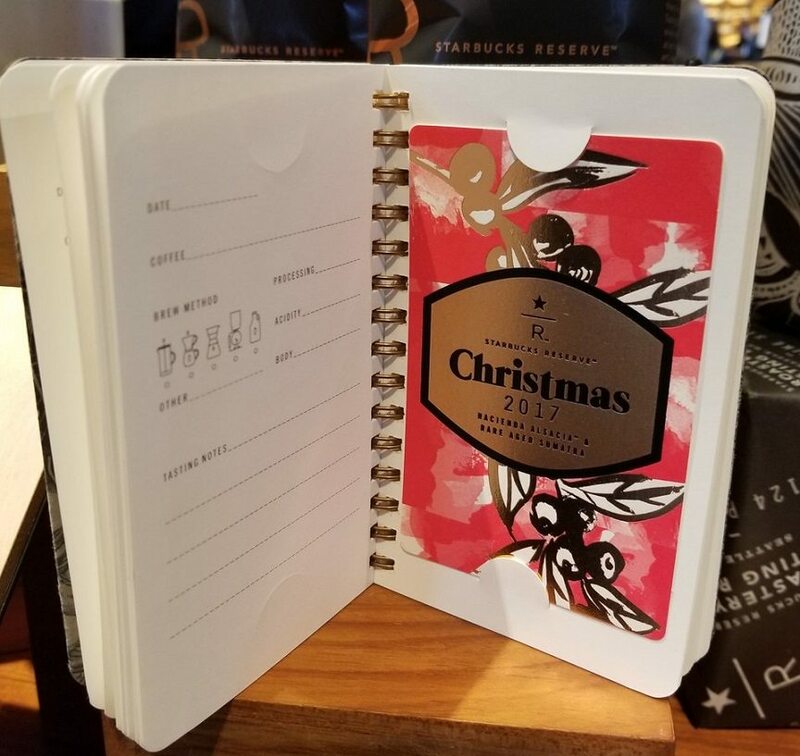 Here’s a crazy cute idea: The coffee passport just for Reserve coffees. 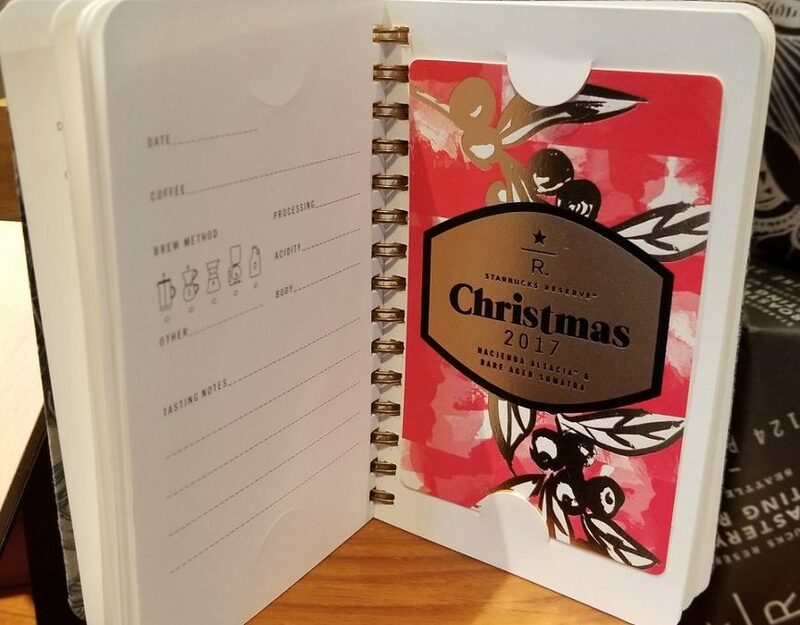 It has pages with slots where you insert the Reserve coffee tasting card for the coffee you’ve just tasted. 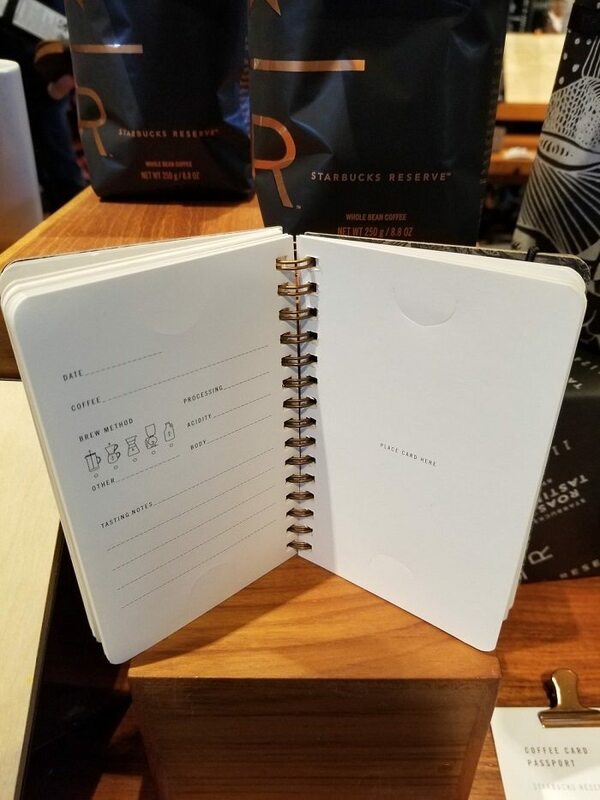 You can make note of your tasting notes and brew method and more. 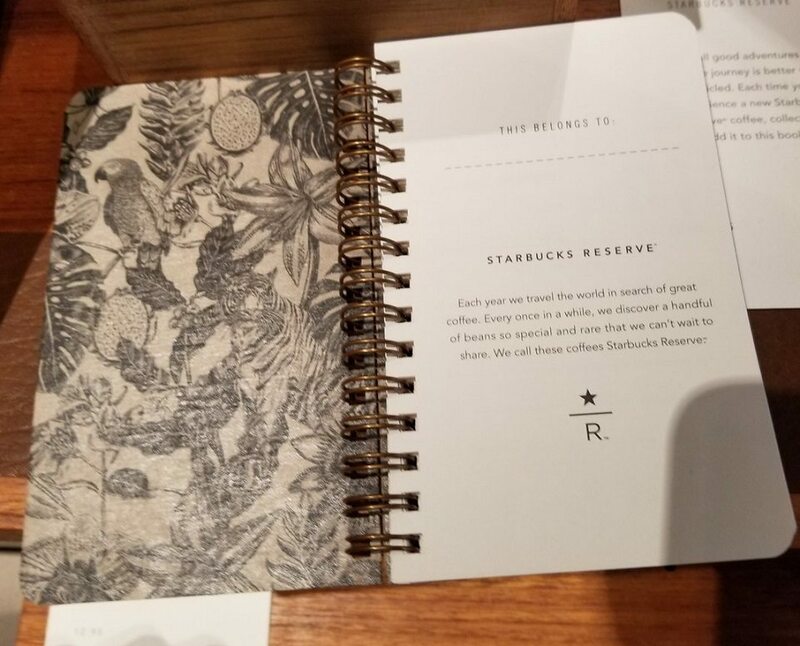 The Reserve Coffee passport showed up as a new item at the Seattle Reserve Roastery on November 14, 2017. There’s lots of new merchandise! 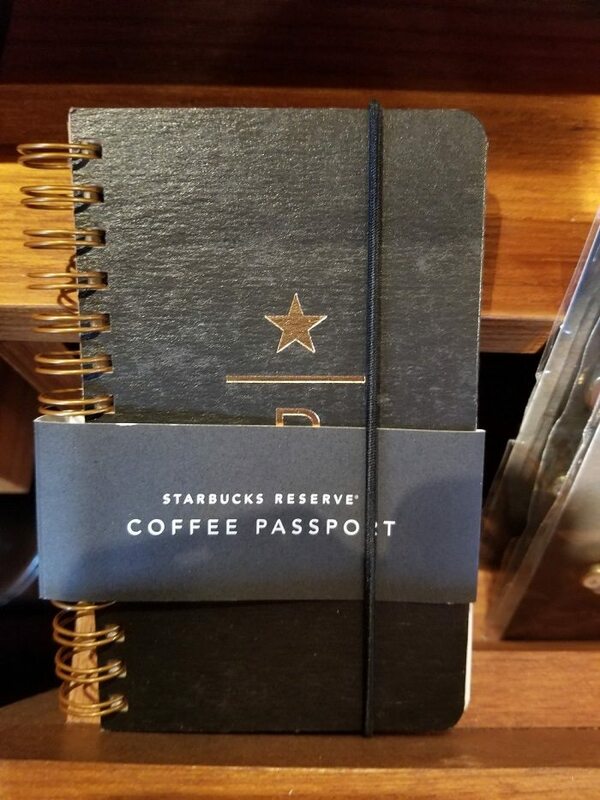 This coffee passport is so cool. Take a look! By the way, you can track your U.S. Reserve card collection on DiscoverStarbucksReserve.com. If there was ever a Starbucks item with your name written all over it, Melody, this one would be it! How cool is that thing?!? That’s beautiful! I love it! I was also wondering if there was Christmas Reserve because I haven’t seen it make it’s way out here. I love it! I will have to get one. Thanks for pointing it out! WoW this is awesome. Do you know the price for this one? This is super cute! I would want this just because it is chic! Also tomorrow is a special offer day for goods bought that are $20 plus. hi! this is just too cool. where can i get this special passport? You can get these from ebay and Amazon also if you cannot get to the store. Super nice item.